Our garden adventure of the week was finding our cat, Tigger, in a stand off with a fox. I think that Tigger used up one of her nine lives. After I scared the fox away, Tigger continued to want to chase and stalk the fox. Thus, I have officially moved Tigger into the Dumb and Dumber category of all living creatures! a continuation of Monday's theme. 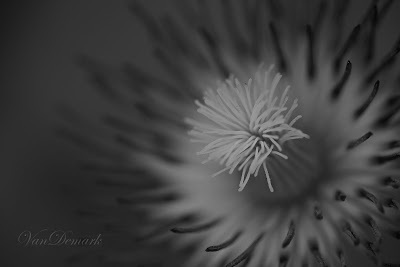 I was very intrigued by the abstract quality of some of these shots. while only hanging onto a thread of realism. So lovely, Anna. I love this series. I really need to develop my posts more into more than one shot. I think you have inspired me to do so! 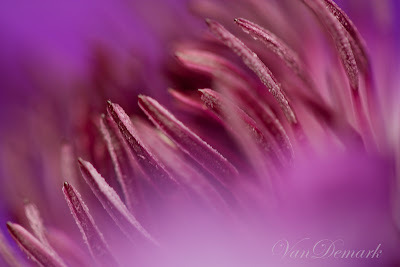 Your macro images make me want to climb into the centre of the flower and discover what the world inside it holds. 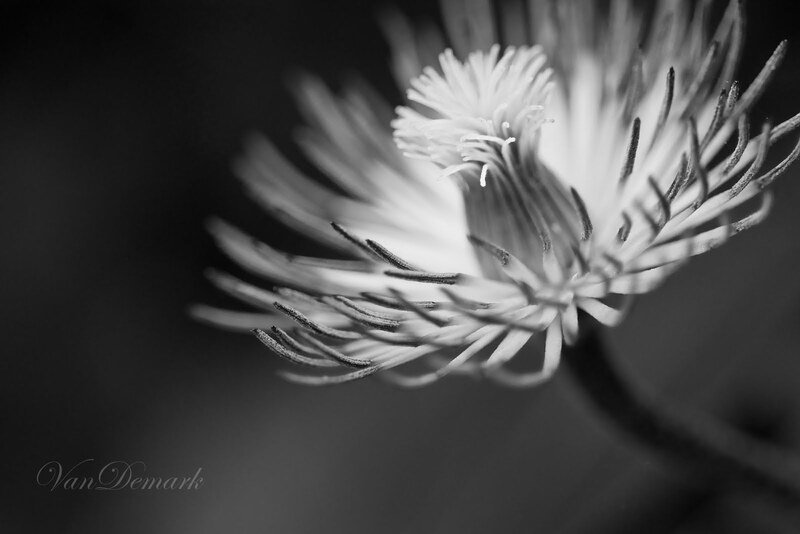 I can only imagine the tendrils being the galaxy and each bloom its own planet. My mind swirls with the stories that may unfold therein. Very interesting photos. I haven't the correct words for tell how are beautiful this images! Great shots. 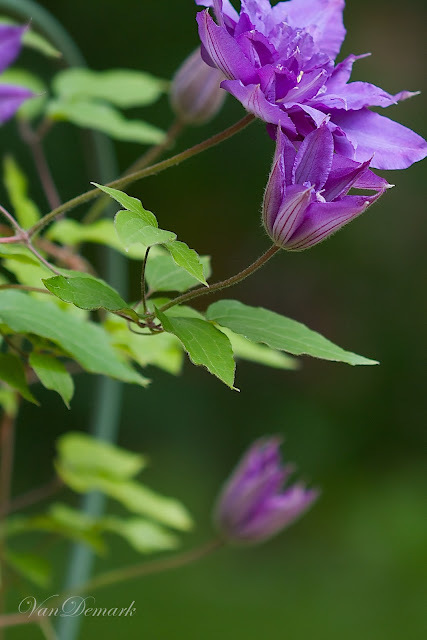 Love purple clematis. Now, get some pics of that fox! Thanks for visiting me. these photos are so beautiful i can't even stand it (really). your story about the cat made me smile. no, really, i just went back and looked at these photos again. they are so so great!! Ou Anna I love these. Some of the macros are almost abstract. It is like you said they are all about color, texture, and design. 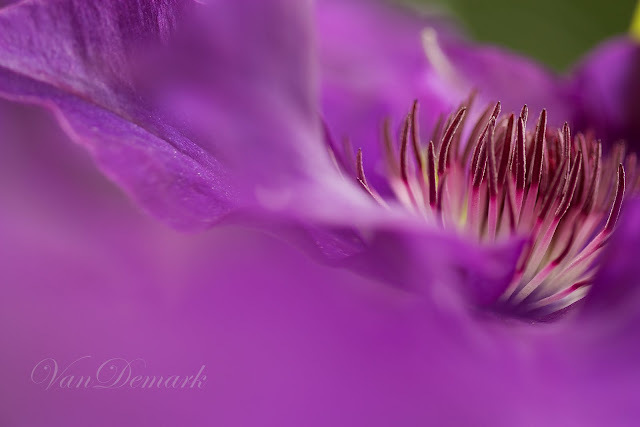 Such lovely photos of the clematis. I am visiting from Cottage Flora Thursday. 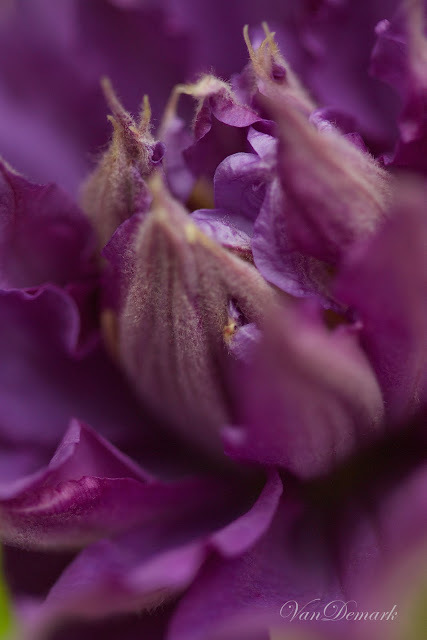 Your macro photos are totally exquisite. 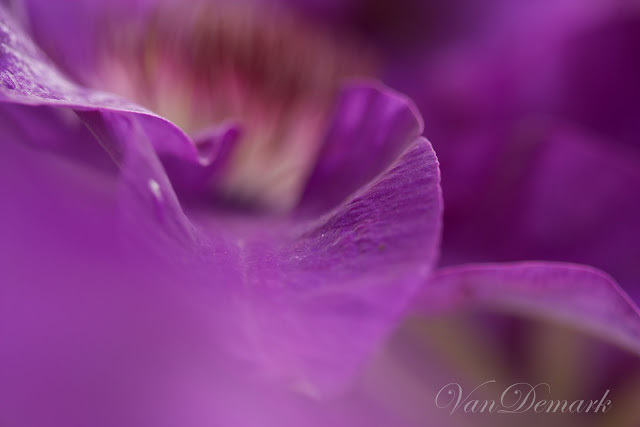 I need a macro lens for my Nikon, too. I have a 50mm lens with a lens reversal adapter but it's just too glitchy to use. I guess I should try it again, I lost patience. These are just gorgeous. The third from the last ... a moving dream. Pure magic! Fantastic shot! Very beautiful! 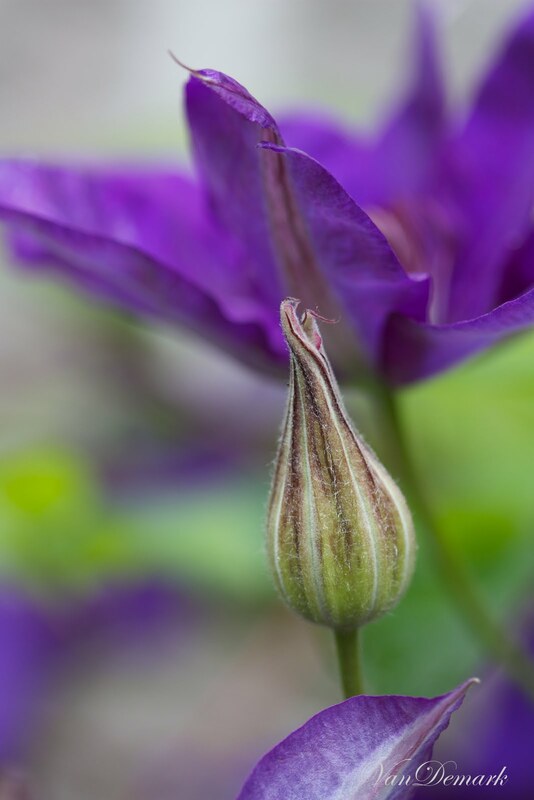 Excellent photos of the clematis. I'm glad your cat survived the fox. We have a fox in our neighbourhood too, which I find very scary for the local felines.